Mercedes-Benz Calls the S63 AMG 4MATIC Coupe a Dream Car, And Is It Ever. The Mercedes-Benz S63 AMG 4MATIC Coupe is a dream come true for drivers. Mercedes-Benz doesn’t make bones about calling their S63 AMG 4MATIC Coupe a dream car. Normally, it’s easy to take someone hyperbolic statements coming directly from a manufacturer and regarding one of their products with a grain of salt. Heck, if we didn’t, we’d buy every single thing that was dubbed “revolutionary,” “groundbreaking,” or “life-changing,” even if all of those adjectives were being applied to the ink pen you use. However, you don’t have to take Mercedes’ word for it. Just get a look at the S63 AMG 4MATIC for yourself. It’s a dream car as sure as you are reading this right now, as sure you as you are drawing breath, as sure as there is a sun burning somewhere out there in the vast universe beyond our world. 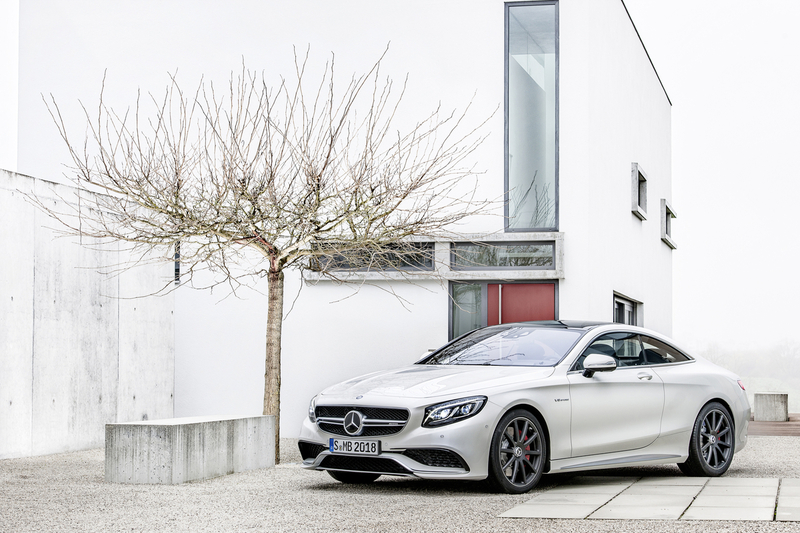 Sure, it looks great, but what else makes the 4MATIC Coupe a dream car? Would ya look at it? We’re all on board with calling the S63 AMG 4MATIC Coupe a dream car. How about you? Look out for the all-new model at the New York Auto Show this April!